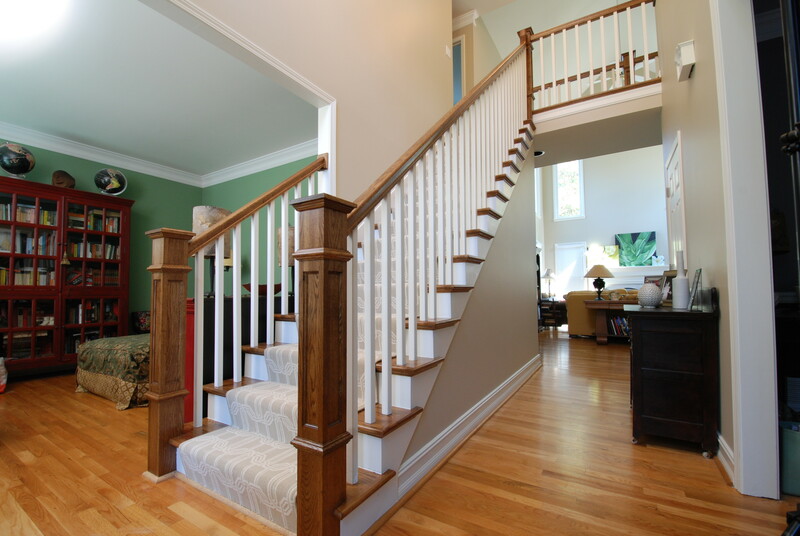 The updated staircase with new newel posts and rails. 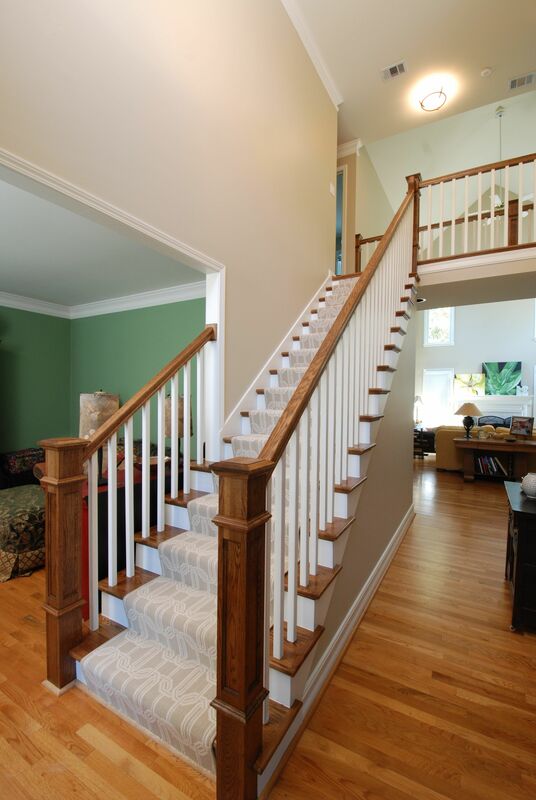 The bigger posts make the handrail very stable and secure, creating a staircase that’s safe for the homeowner. A closer look at the newel posts showing their detail. They look distinctive and are stable, which in turn makes the handrail strong and secure. 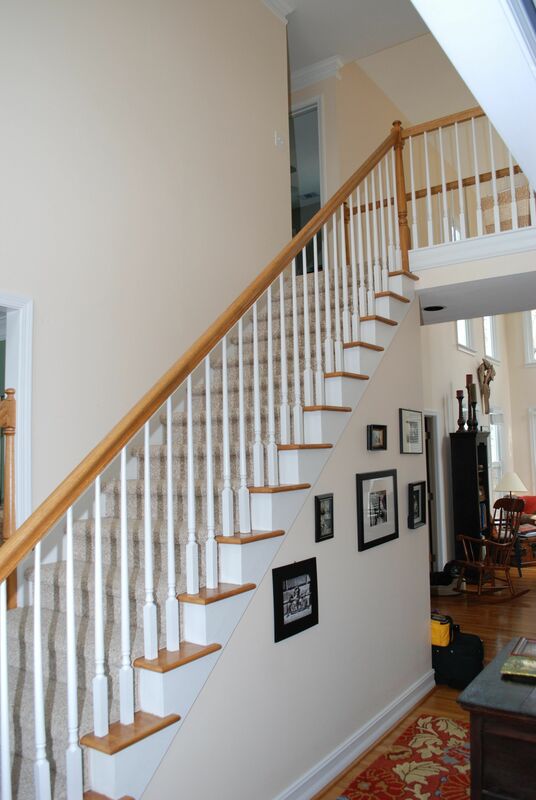 A picture of the original staircase installed by the builder. The rail wobbled and was not strong enough to be functional.